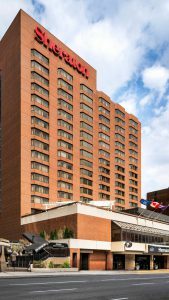 Nestled between Toronto and Niagara Falls, the Sheraton Hamilton Hotel is a great location for your Southern Ontario explorations, as well as meetings and conventions. Located in the heart of downtown, our hotel is only a five minute walk from McMaster University, Centre for Continuing Education and all your conference activities. Guest rooms feature the Sheraton Signature Sleep Experience, 55-inch flat screen televisions, and High Speed Internet Access. Relax, take in views of Lake Ontario or the Niagara Escarpment, and enjoy a space designed with your comfort in mind. To book your stay, visit the Sheraton Hamilton Hotel. Rooms rates range from $149 – $169 a night. Rooms will be available online until April 28. After this time reservations will be accepted based on availability, so please contact the hotel directly to make your reservation. 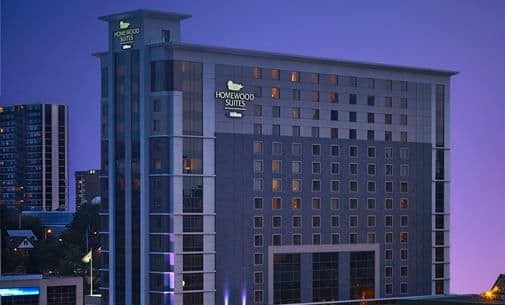 Ideally located between Toronto and Niagara Falls, Homewood Suites by Hilton Hamilton, Ontario, Canada, is your perfect accommodation choice. 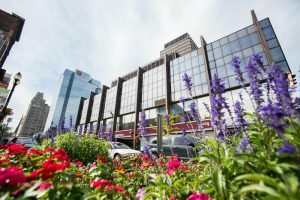 Entertainment and sports venues such as FirstOntario Centre Hamilton Place, Molson Canadian Studio, the Hamilton Convention Centre and Hess Village can be easily reached from our all-suite hotel in Hamilton, ON. Enjoy easy access to McMaster University, just a short drive away. To book your stay, visit the Homewood Suites by Hilton Hamilton. Rooms rates starting at $142 a night are only available until May 7. WestJet has partnered with us to offer 5% off Econo* and Flex and 10% off Plus base fares for Domestic Travel and 2% off Econo*, 5% off Flex and 10% off Plus base fares for guests travelling Trans-border** between Hamilton/Toronto and anywhere WestJet flies in North America (including our Delta code-share partner network). To take advantage of this offer, you will need the discount code listed below. If you have questions about how to complete a booking with your discount codes, please check out their frequently asked questions. **Discount codes are valid for travel on the dates indicated above. Percentage discount is applied to base fare. Taxes, fees and charges are extra. The base fare may be represented as Air Transportation Charges (excepting Other Air Transportation Charges) in the booking flow. Other air transportation charges, taxes, fees and charges are not discounted. Discount codes are intended for use by the event attendees and organizers only. Distribution to any outside third parties or unauthorized channel is prohibited. Discount can be used for a one-way or round-trip booking. Discount cannot be applied towards multi-city bookings. Only one discount code may be used per booking. Seasonal start and end dates may apply. No cash value. Non-refundable. Discount only applies to flights marketed and operated wholly by WestJet, WestJet Encore, WestJet Link, and Delta flights marketed by WestJet via codeshare. It is not applicable when traveling with our other code-share, interline or other airline partners. New bookings only. Offer is limited and subject to availability. No cash value. Non-refundable and non-transferable. Discount cannot be used towards the purchase of a Member Exclusive fare or the purchase of a WestJet Vacations package. Discount cannot be combined with any other discount codes or companion voucher bookings. WestJet dollars, Travel Bank and gift cards cannot be used as a form of payment. Any changes or cancellations to discount code bookings must be made by calling 1-888-937-8538. If the booking is changed or cancelled, the discount will no longer apply. Other restrictions may apply and are subject to change at any time. 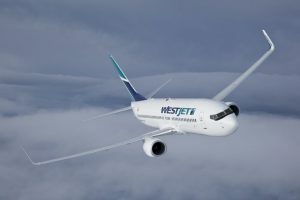 WestJet’s fares, schedules and policies, and any and all equipment used in connection with the provision of the meetings and conventions travel services may be changed or terminated by WestJet at any time and for any reason, in each case without notice or liability. WestJet may terminate or reduce flights to any event city at any time and for any reason without notice or liability. 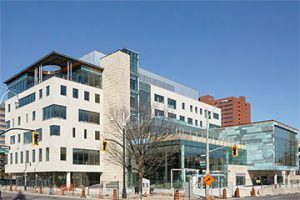 The David Braley Health Science Centre is located on the corner of Main Street West and Bay Street North. There are many affordable and safe parking options surrounding the OJN building. The parking lots listed are not affiliated with McMaster CCE. The conference facilities are accessible. Please contact the conference host at rutjowj@mcmaster.ca or 905-525-9140 x23264 for specific accommodation requests. Hamilton’s revival has made the city one of Canada’s most buzz-worthy destinations. Known for its distinctive urban feel, vibrant arts and culture, and exciting food scene, Hamilton also surprises with its vast natural offerings and fascinating history.